The main benefit of this service is how easy is to meet people, close or far from each other, at any time and with minimum necessary resources. Thus, it is possible to generate economy, streamline processes, increase productivity and facilitate communication in its institution. The service can be used in several occasions, including team meetings, thesis and dissertation defenses, webinars or event broadcast, qualification, training and distance learning (EAD). 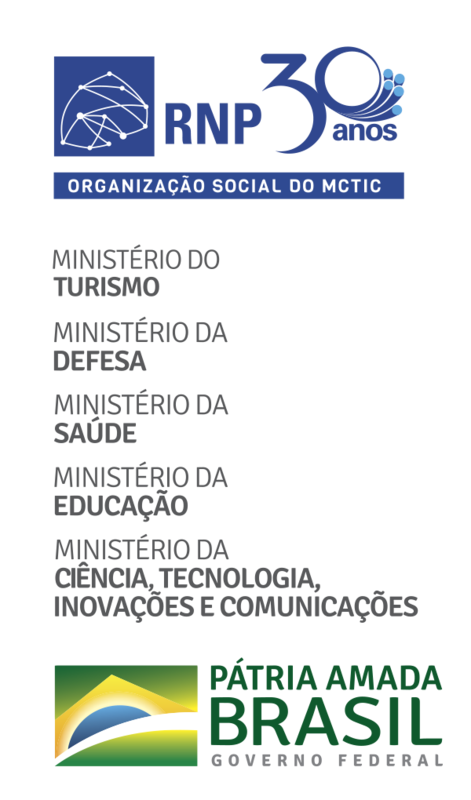 Service portal can be accessed at conferenciaweb.rnp.br. The service requests a browser in its latest version. We recommend using Mozilla Firefox, because it is what meets all usage requirements. Also, it is necessary to have Adobe Flash installed and updated. We know it's a technology about to be excluded, and we are working on its replacing. A good quality headset makes all the difference in the user experience. Avoid using built-in microphone or notebook webcam, since it captures much noise and impairs communication. Network is an important item. Only sharing medium quality audio and video does not require much band. If the sharing includes several resources, however, as audio, high quality video and high resolution desktop sharing, the band demand will be higher. In addition to the band, it should be also considered the local network quality. Since it is a multimedia communication service in real time, a local network of low quality can cause problems such as voice and video flaws. Public or company Wi-Fi networks of low quality or too much interference can result in a bad experience. We always recommend using a wired network or a controlled Wi-Fi environment. The firewall of your local network may also affect negatively on meeting quality because the blocking of certain ports may prevent the use of resources or degrade the quality of audio and video. If you have quality or access issue of a meeting in the Web Conference service, you can access help in this link (in Portuguese) or can contact the RNP’s Service Desk. Currently, the service technology platform of Web Conference is Adobe Connect (AC). It has limitations of room number and simultaneous participants, and requires great investment of financial resources since it has use licenses. Thus, RNP selected a new solution, developed by a Work Group (GT) of RNP. As benefits, MConf has national development, of open code and auditable, without use licenses (for RNP) and allows an unlimited room number and three times more simultaneous participants. Mconf uses webRTC technology, which has as main advantage to promote superior audio quality in meetings with a minimum network use. For more details on the platform, please access User manual. All customer institutions of RNP can request access to the service through the Service Desk. It is only necessary to comply with the formality of a release of use, defined by the manager appointed by the top manager of the institution. After use approval, the institution controls the access to the service. It is important to note that the final user support should be offered by the very customer institution. RNP offers proper training to technical representatives of each institution, in addition to second level support to this professionals. For more information, contact RNP Service Desk at sd@rnp.br or by phone (55 61) 3243-4330.